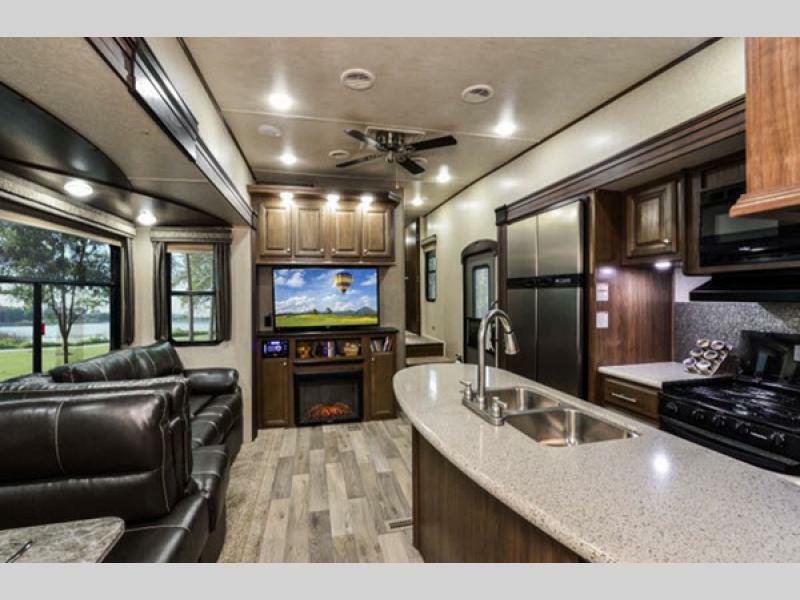 Our 2018 Heartland Elkridge Fifth Wheel for sale is one of our favorite fifth wheels! 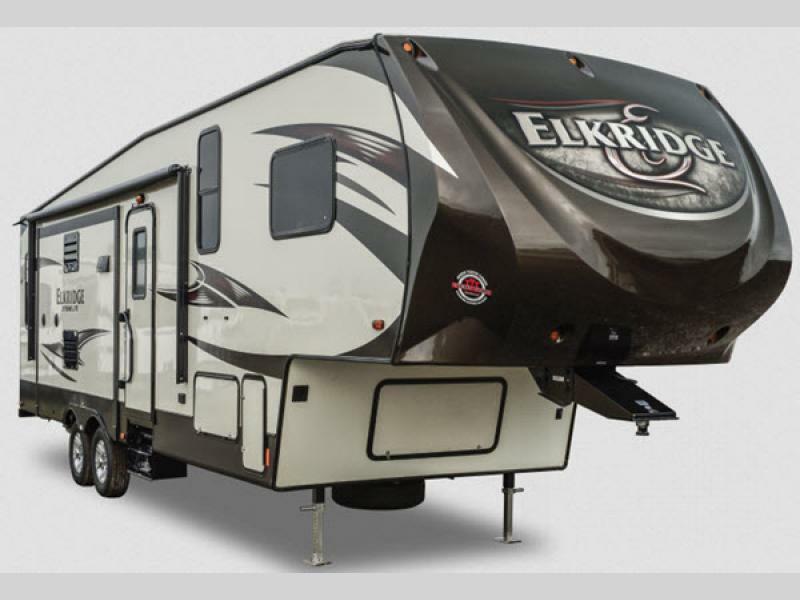 We would agree when Heartland RV claims that “ElkRidge provides everything necessary for comfortable vacation living.” Everything about this fifth wheel screams “space.” If you’re looking for a fifth wheel with an unreal amount of space, take a look at this 2018 Heartland Elkridge Fifth Wheel Review with us! We know you won’t be disappointed. …And many more features! As you can tell, Heartland RV hasn’t forgotten anything! You’ll also love the Universal Docking Center (U.D.C.) all system hook-ups in one convenient and concealed compartment, including a black tank flush system, city water hook-up with high pressure fresh tank fill, an exterior shower with hot and cold water, satellite and antenna connections, all tank pull handles, and winterization valves. 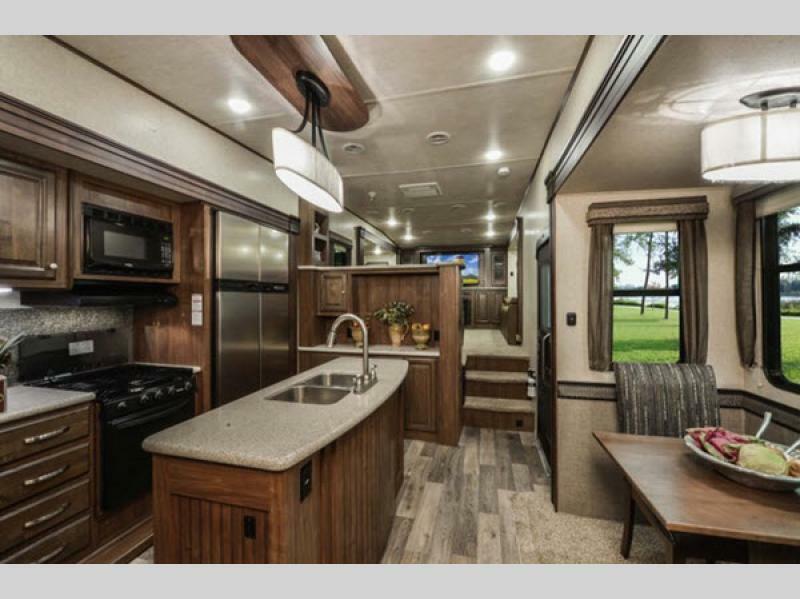 The 2018 Heartland Elkridge Fifth Wheel for sale characterizes space and comfortability. Check out the Elkridge floorplans for the different spaces available, such as a bunkhouse, outdoor kitchen, and a two full bath floorplan! If you have any questions, or just want to come and talk to us about the 2018 Heartland Elkridge, don’t hesitate to contact us today.